E-learning tools offer many creative ways of engaging modern learners. 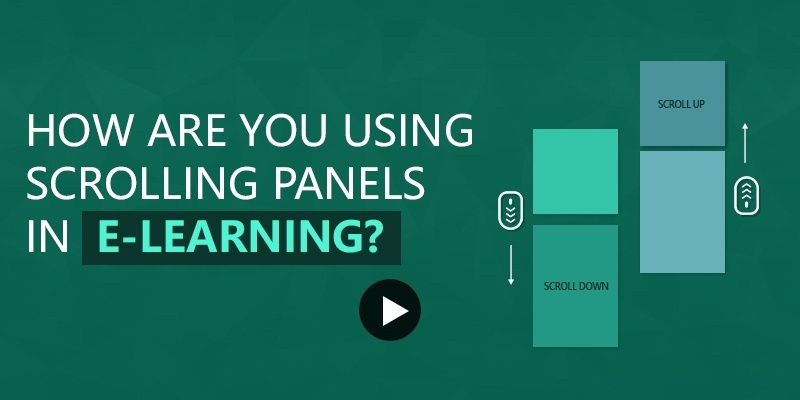 To give it a go for the e-learning challenge of using Scrolling Panels, we've come up with an exciting sample. Scrolling panels keep your slide space intact, without creating content clutter. With scrolling panels, your slides look better because they can take in anything except another scrolling panel. We’ve played around with musical instruments this week, building a sample where we used a scrolling panel in full screen divided into different segments, each showing one category of musical instruments.